One of the oldest churches west of the Alleghenies, this state historic site is located two miles south of Tompkinsville on Ky 1446. First available church records are dated 1798, but tradition claims the church was established much earlier. The park offers a peaceful setting for a journey into the past with the uniquely shaped rustic log building and pioneer graveyard where lie several Revolutionary War soldiers and Daniel Boone's younger sister, Hannah. Visitors will also find tranquil picnic areas and a gift shop featuring traditional art and crafts. In addition, a newly established "Quest" is ready to take for those with an adventuresome spirit. Below: "Pirates In The Park"
"Writer's Day In The Park"
Disc Golf Course, covered grill pavilions, Ball Field are all here for you to enjoy! 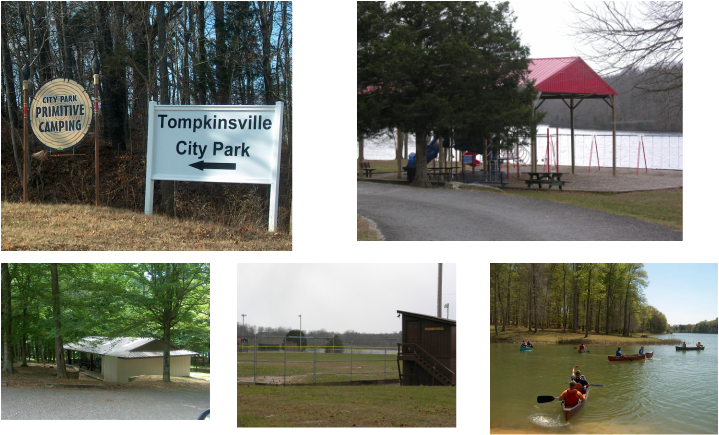 Tompkinsville City Park offers an abundance of outdoor activity fun. 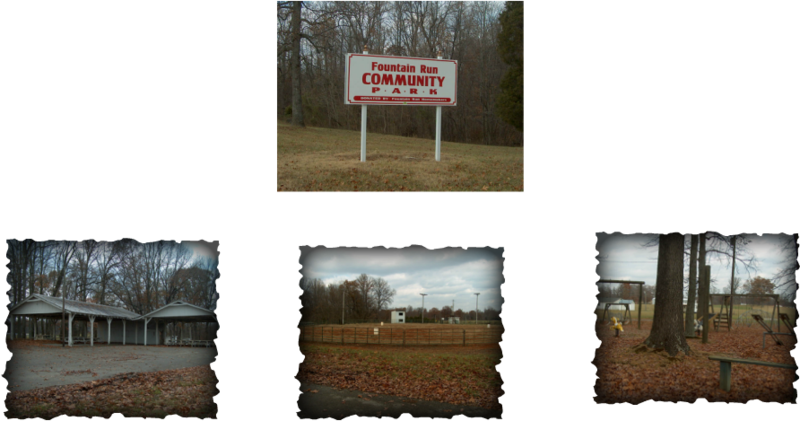 Seasonal ball games in designated fields, fishing at City Park Lake is superb as there are no gas motors allowed, 2 large pavilions are available for rent through City Hall, an amphitheater for musical events, a playscape for the young ones and 5 primitive camping sites on the lake beside the Dogwood Pavilion available by reservation only through Tompkinsville City Hall (270-487-6776). Located south out of Tompkinsville off Hwy 63 (Celina Rd.) onto Mill Creek Rd.